Hey all! Here's the April 1st Q & A! 1.) Mattel has used Toyfare magazine in the past as a venue for premiering new characters in the MOTU classics line. Now that the magazine has ceased publication, can we expect these debuts to be filtered into one of the other toy magazines still being published? 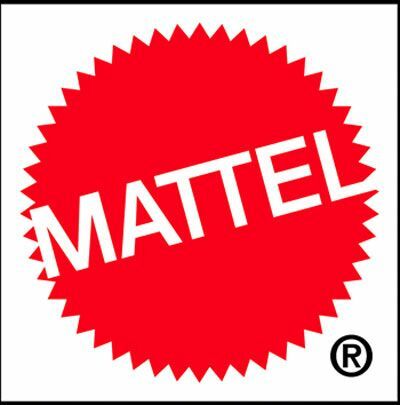 At this time, new product reveals that were scheduled for ToyFare magazine will now be shifted to Mattycollector.com. 2.) We know that 2011 will not see a price increase on MOTU Classics... but if prices do increase in later years, how will that be handled for subscribers? Since we are locked in at a certain price throughout an entire year, will any price changes always happen at the start of the year so that subscribers and regular buyers will always be charged the same amount? If we ever were to have a price increase it would be in the beginning of the year and we would announce this in conjunction with purchasing a subscription for that year. We would not raise the price mid year during a current subscription. 3.) Many fans (myself included) aren't really happy with the new shipping company (Cornerstone Logistics) handling the non-subscriber orders. It seems that the packages needlessly travel back and forth between states, the items take longer to arrive, and the tracking offers no expected delivery date (which is sometimes essential to buyers so that they can plan to be home when the package arrives). The reason given for the switch was because of the increase in UPS cost... but since we as the consumers are paying for the shipping, why aren't we allowed the option of choosing to pay for the UPS shipping? I for one wouldn't mind paying a few more bucks for better shipping service. As always suggestions are appreciated. We are CONSTANTLY looking to improve and offer better shipping methods and will pass your comments onto the team for review. 4.) Speaking of the new shipping- While you stated that subscribers would still be getting the UPS service (since it was chosen when the subscription was purchased), many subscribers have found that this is not the case, as their packages are being handled by Cornerstone Logistics. It seems that if a person had to have their sub reinstated at some point (due to things like expired credit cards, unavailable funds, etc), then they are now stuck with Cornerstone Logistics for their shipping (even though they choose UPS when signing up). Are you looking into correcting this issue, or are those fans simply at the mercy of the new shipping method? The same answer as above. We will pass your comments along to the team to review as we continue to improve and offer the best methods possible for shipping. 5.) Throw us a bone... I don't think this will be revealing too much, so I'll give it a shot- Do any of the MOTU Classics figures slated for the rest of this year have a name that begins with letter"G"? Sorry, our lips are sealed, you’re Gonna have to wait until SDCC!